All events are held in the G. C. Rann Auditorium on the second floor of the museum. 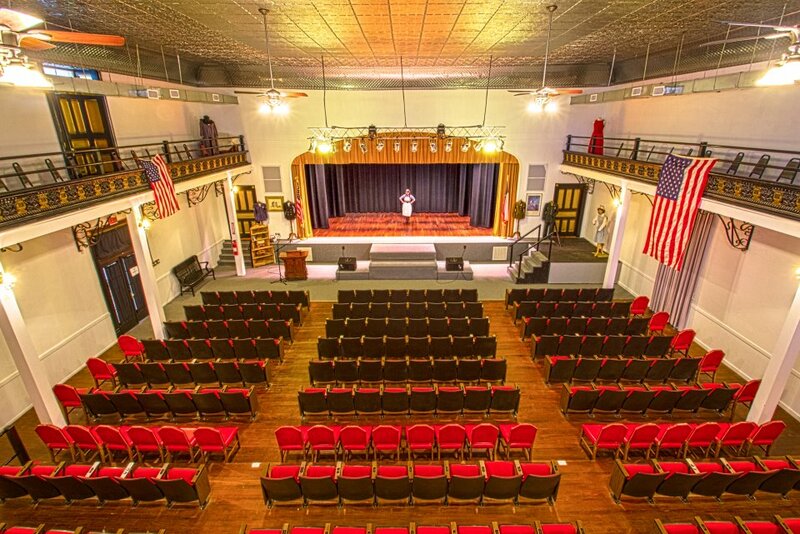 The late G. C. Rann and his wife Maurine and the citizens of Decatur began restoration of the auditorium, and the completion of the restoration process has the auditorium a showplace. We have a full schedule of events planned for the rest of the year. A ramp, steps that are easy to use for walkers and an elevator are available to make the museum accessible to the physically challenged. DISTRICT SINGING CONVENTION: Friday, March 22 at 6 PM and Saturday March 23 at 10 AM. This is held at the Central Methodist Church-Fellowship Hall at 1005 S. W. 4th Ave. in Mineral Wells, 76067. There will be a pot luck luncheon on Saturday after the morning singing. Lambert Singing: Saturday evening, March 23rd at 6 PM at the Lambert Baptist Church, Hwy. 180 W. at N. Lambert Road, Weatherford, Tx. Gospel Opry Sing-Along Program: 6:30 Monday night, March 25th in the G. C. Rann Auditorium of the Wise County Heritage Museum, 1602 S. Trinity St., Decatur, 76234. I know you would enjoy any and all of these gatherings, so plan now to attend them all!